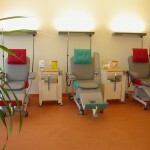 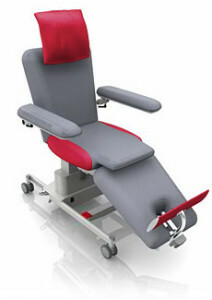 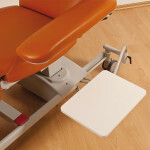 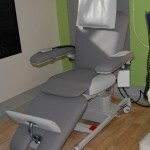 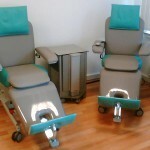 Five motors make the therapy chair adjustable into all positions desired by the patient and by the nursing staff. 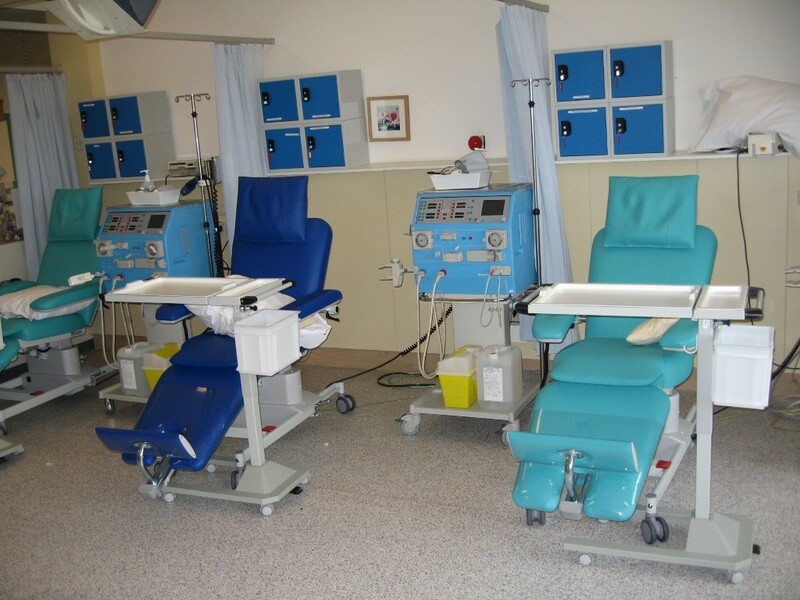 Multifunctional arm rests and an adjustable foot and head section make the long term dialysis treatment more comfortable for the patient. 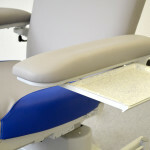 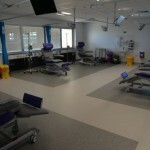 The newly developed construction of the ComfortLine provides very high stability whilst in horizontal position. The powerful motor system allows the shifting to shock position at high speed. 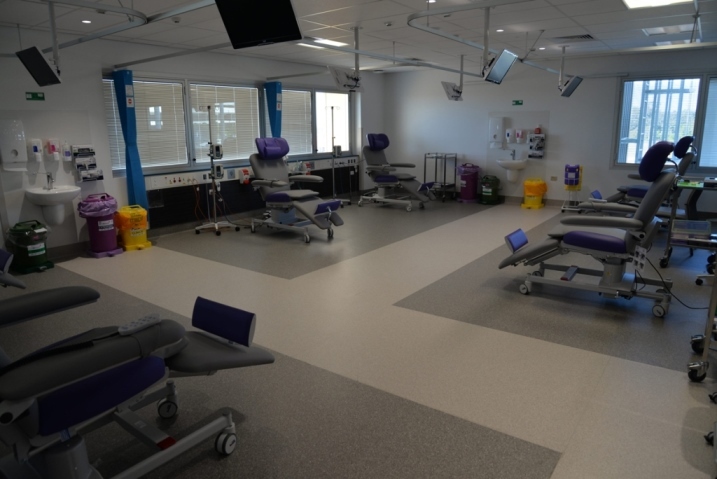 The activation of the shock position by foot pedal ensures that immediate measures can be initiated without having to press an emergency button by hand first. A safe maximum load of 240 kg allows comfortable treatment also to bigger persons. A height adjustable pillow provides optimal head support. 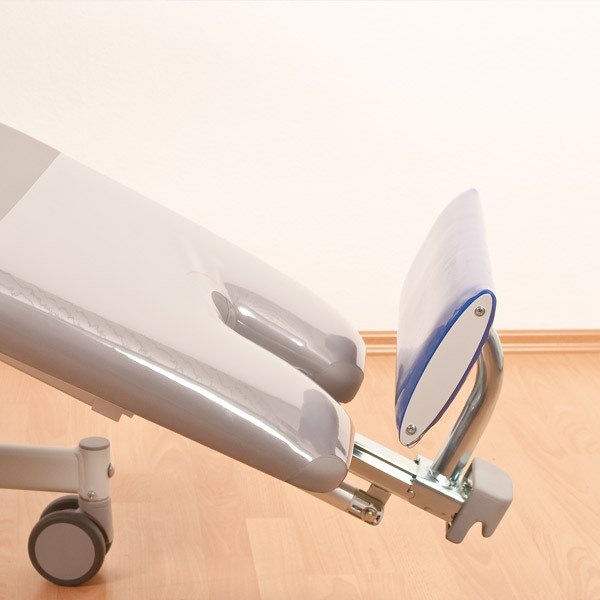 The telescopic footrest can be adjusted individually to give very small up to very tall persons a secure feeling during treatment. 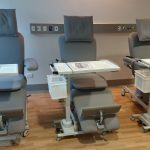 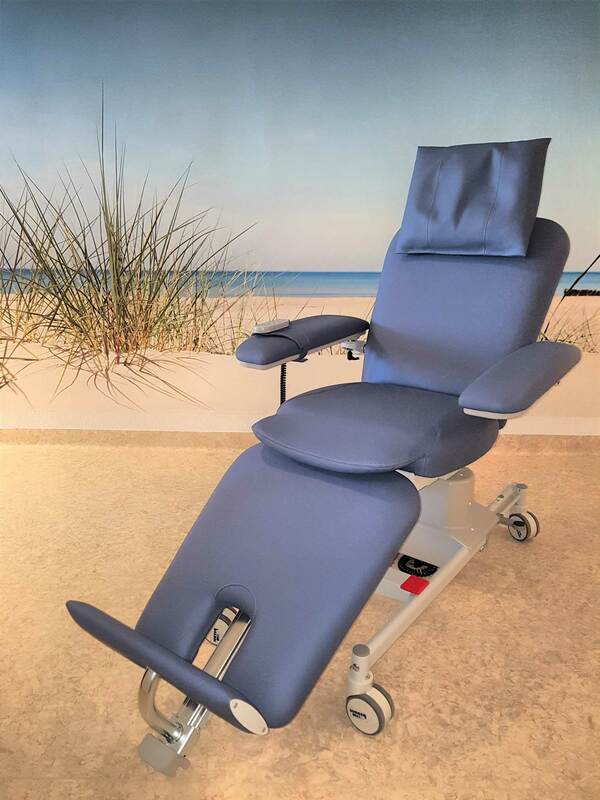 The multifunctional armrest is designed to ease the access to the patient and to support the arm during treatment (infusion therapy, chemo therapy, etc.). The armrest moves synchronously when the chair position is adjusted and can be lifted upwards for better entry and exit of the chair. 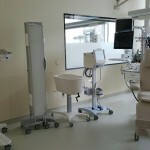 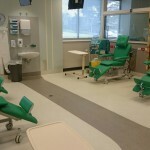 To facilitate getting in and out for patients in wheel chairs the armrest can be removed. 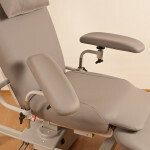 ComfortLine gives you the possibility to combine comfort, safety and functionality to meet individual needs and desires. 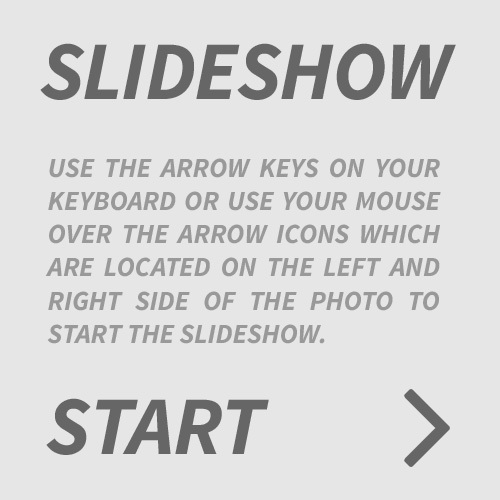 In Canada technical features may differ from information showed. 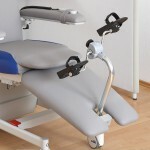 Versatile adjustments for a perfect adjustment to the different arm positions. 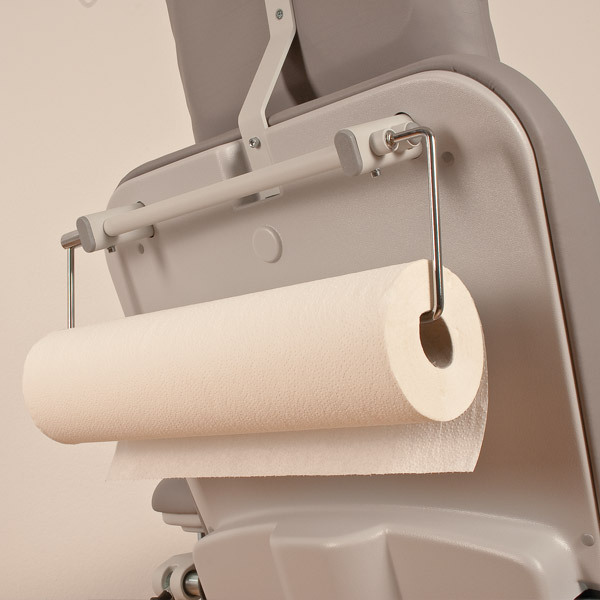 The small can be mounted directly to the armrest. 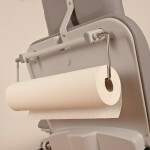 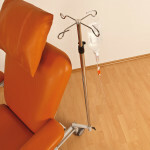 To cover the therapy chair a paper roll holder can be mounted. 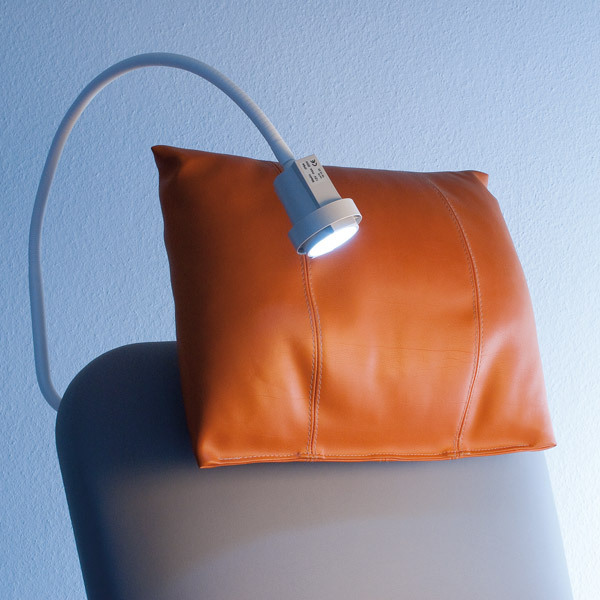 The practical LED lamp with handle allow reading during the treatment. 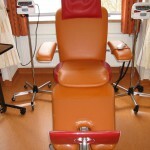 So the patient can be active during the treatment. 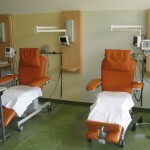 Transparent covers protect against contamination. 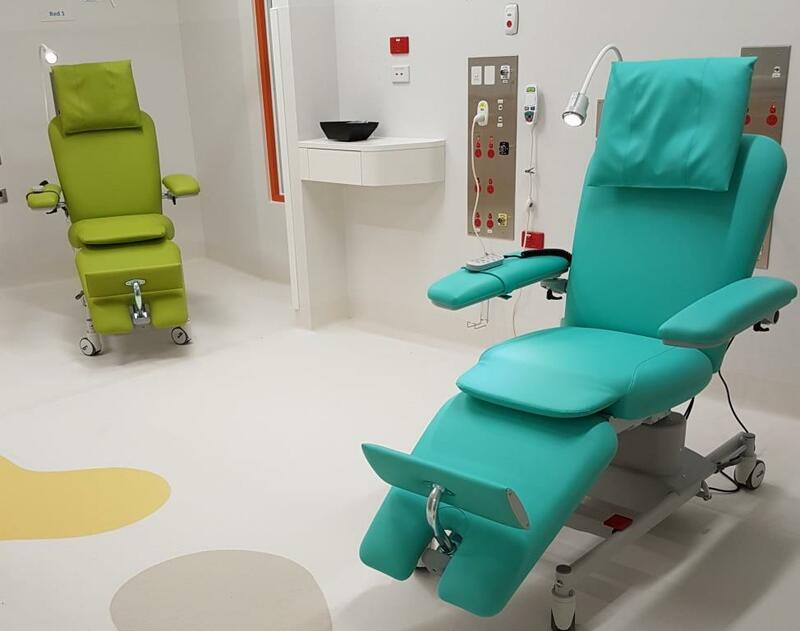 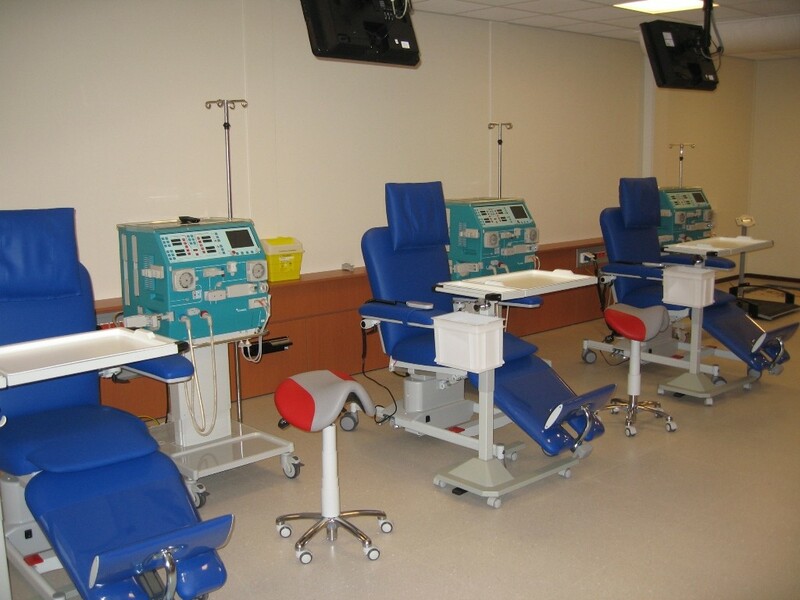 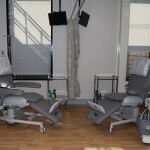 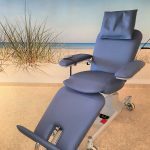 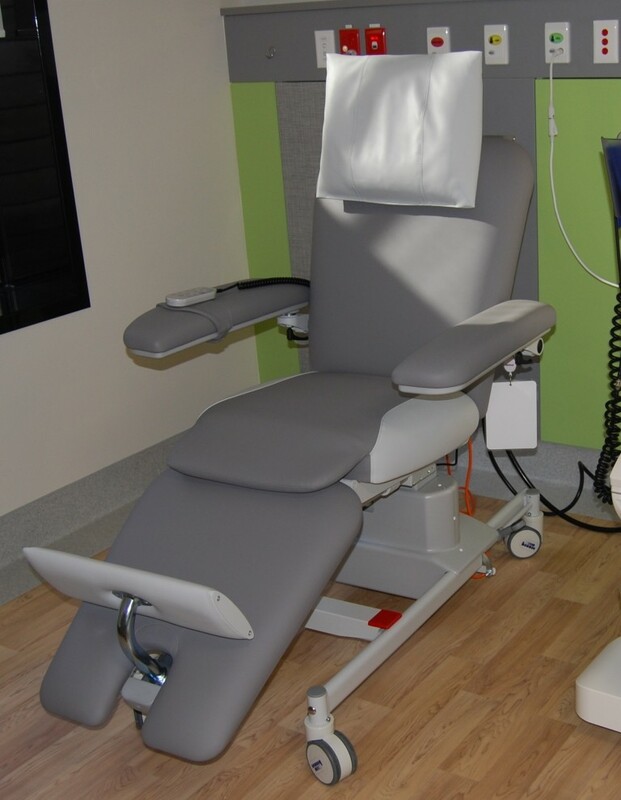 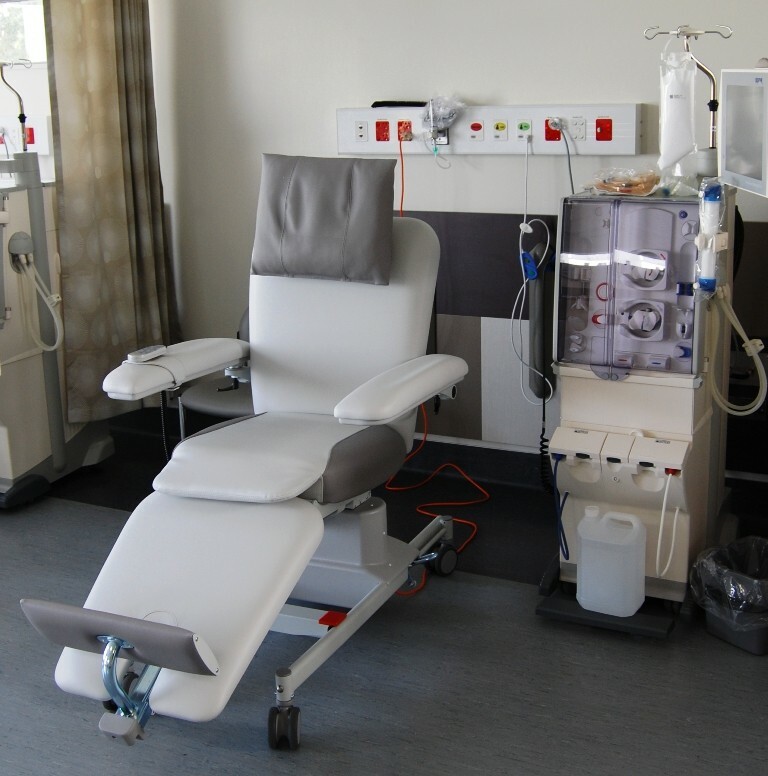 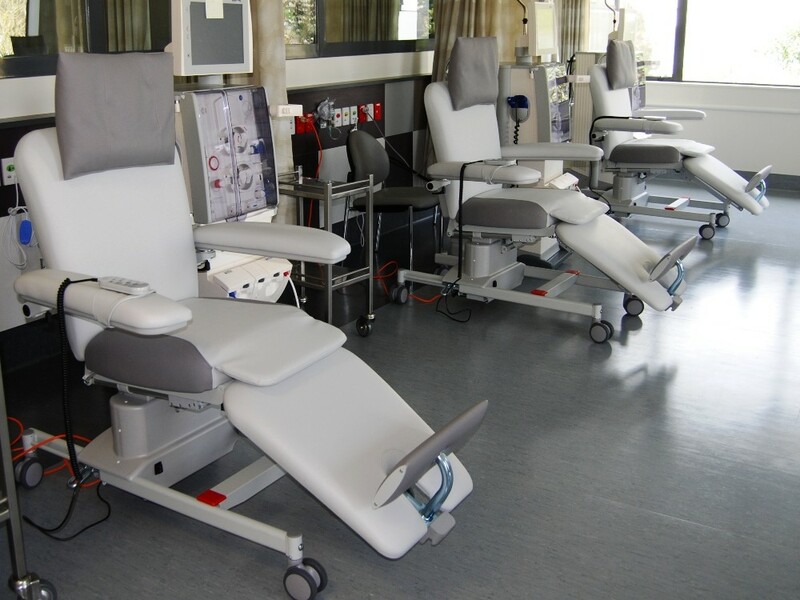 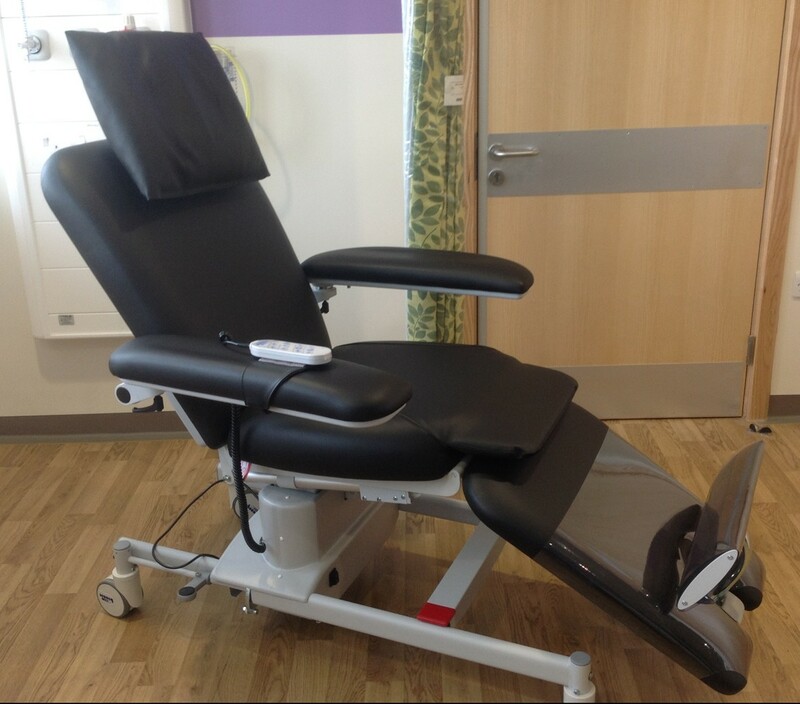 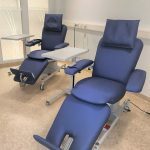 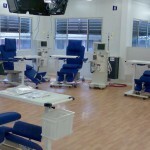 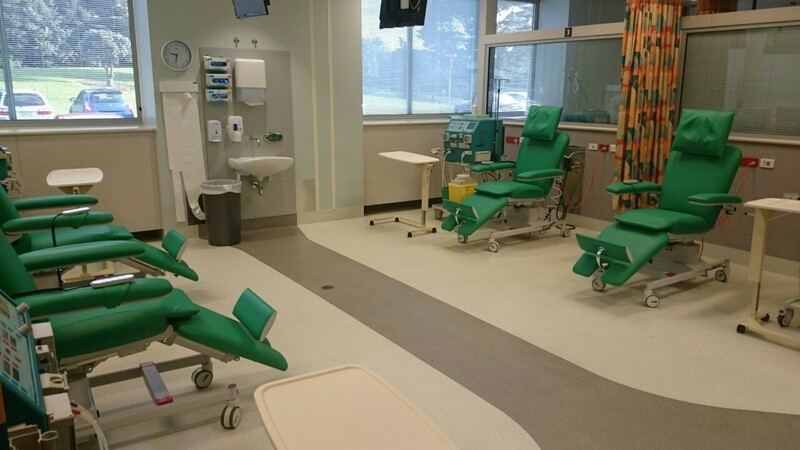 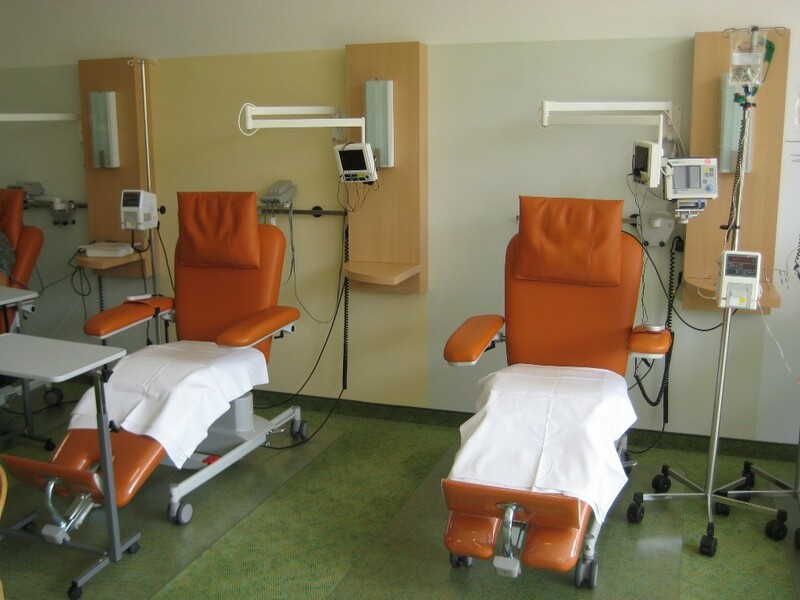 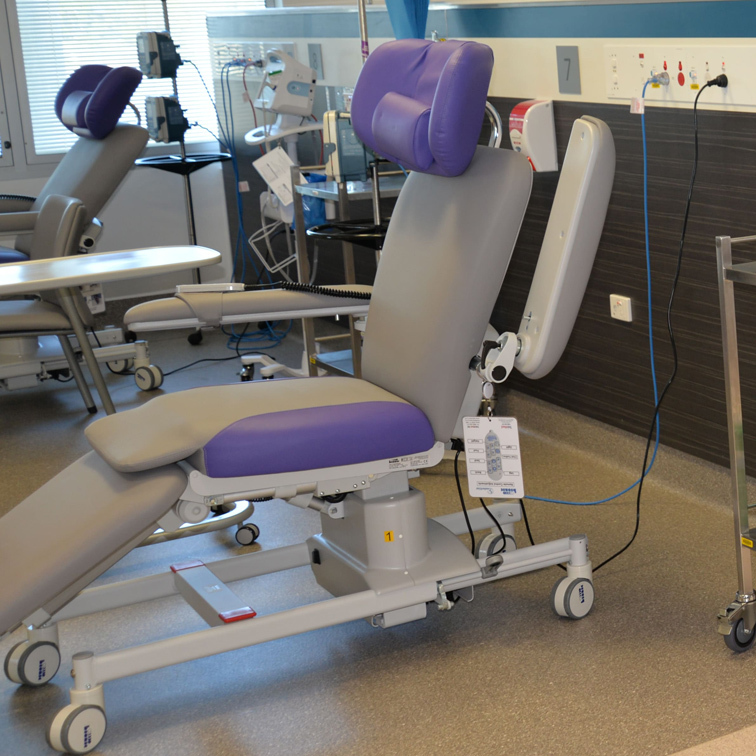 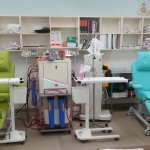 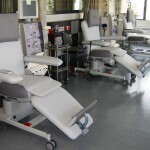 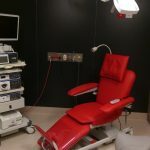 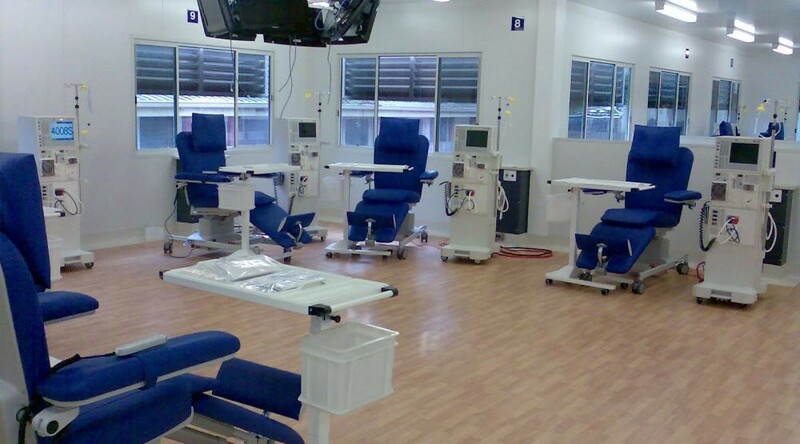 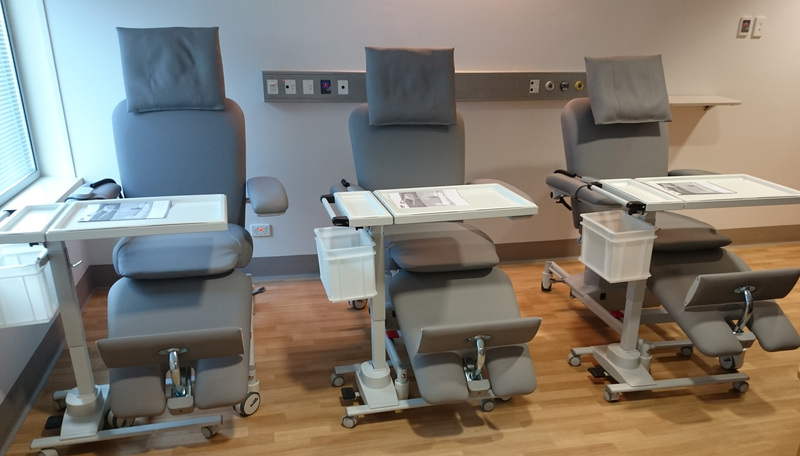 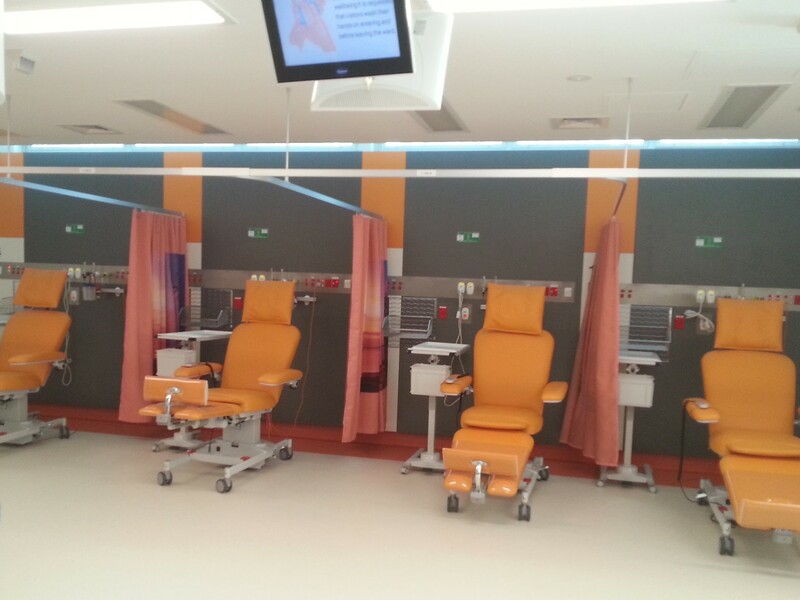 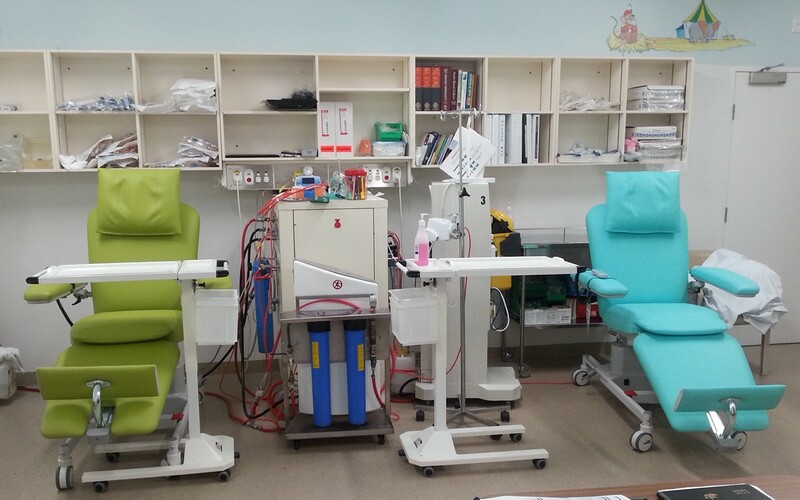 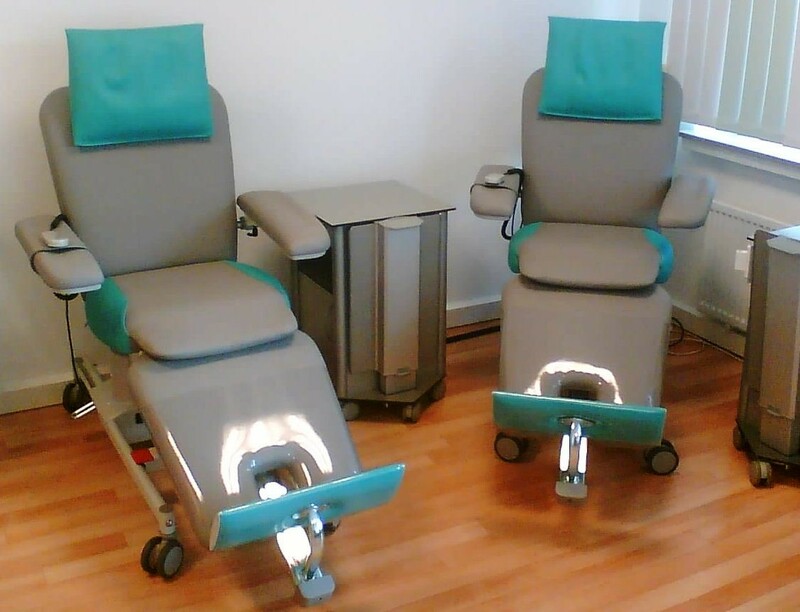 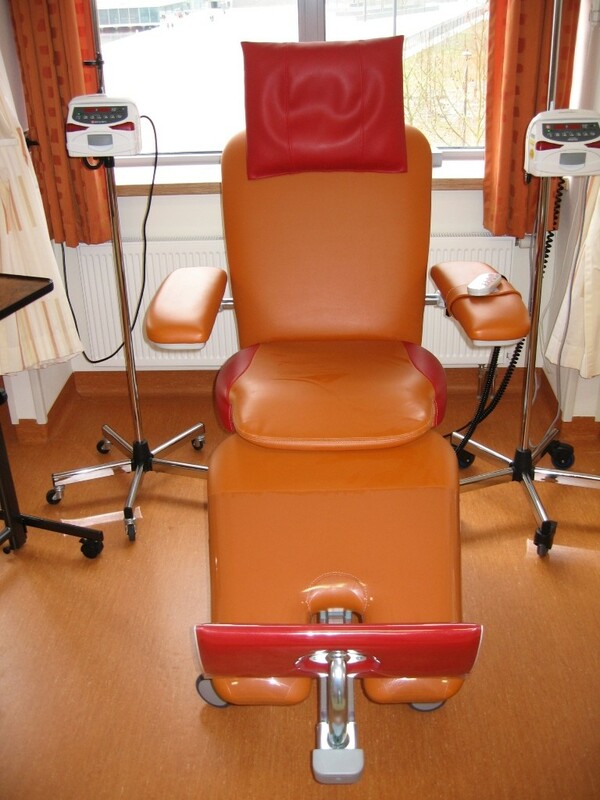 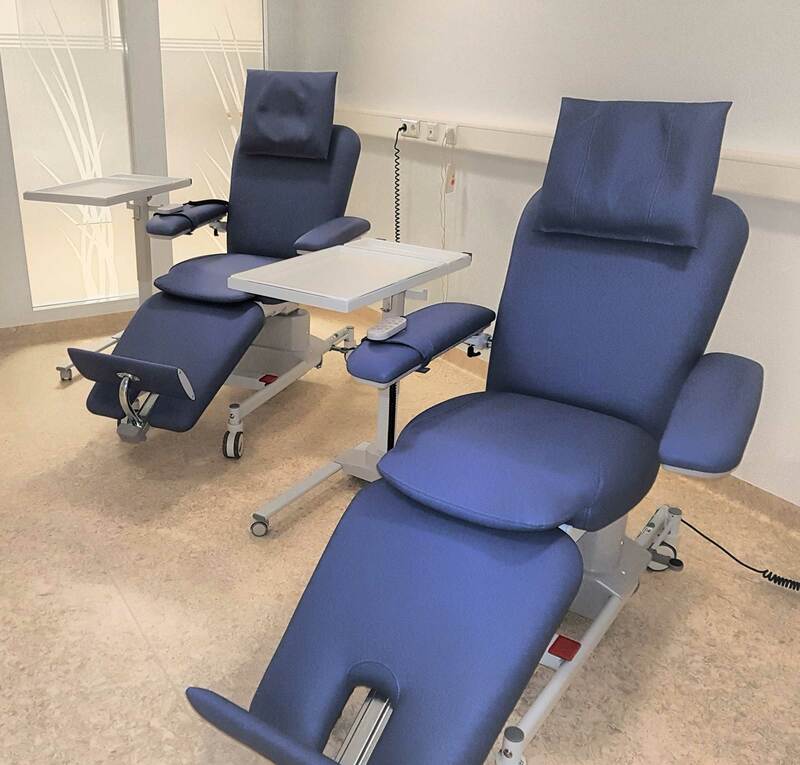 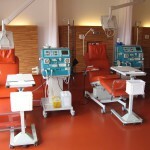 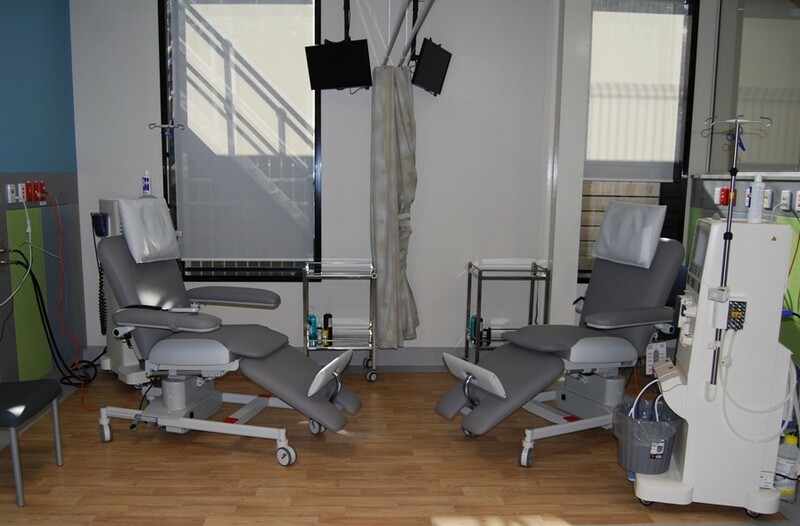 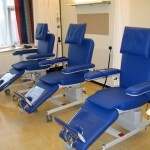 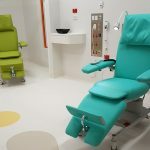 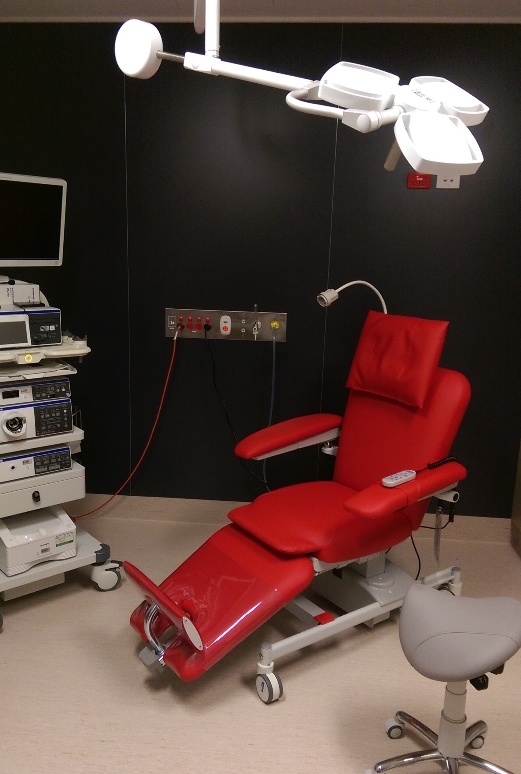 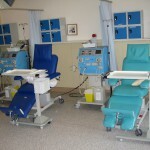 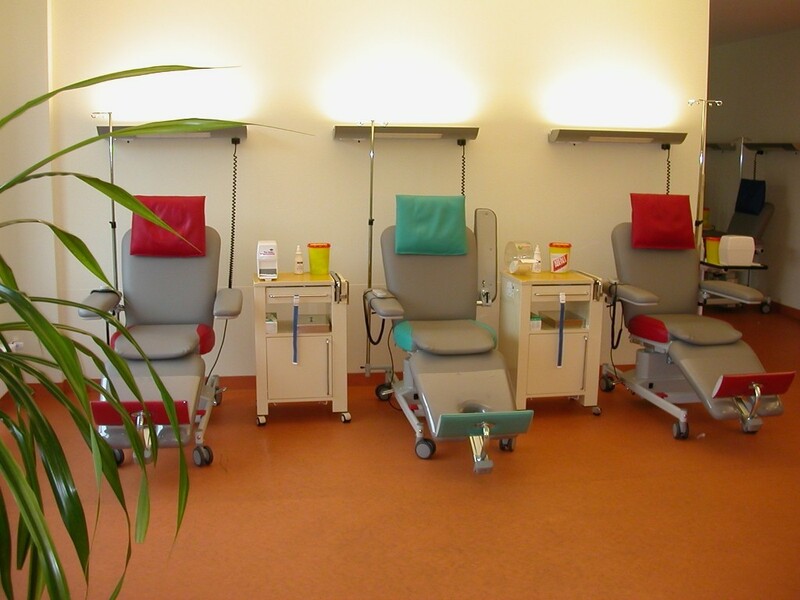 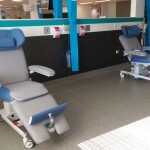 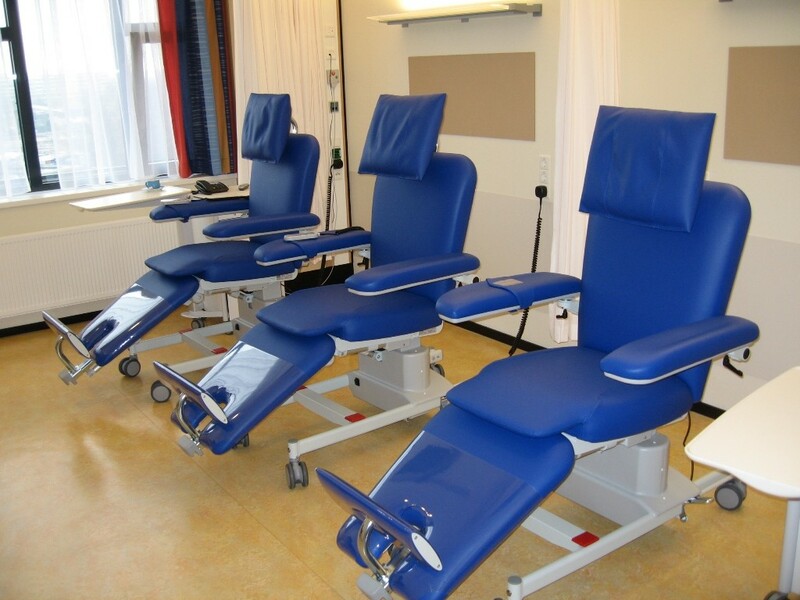 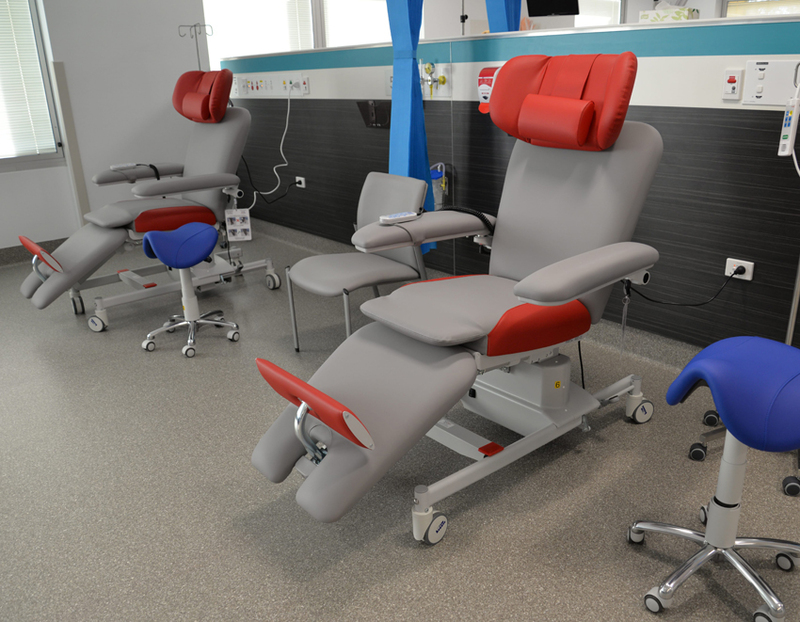 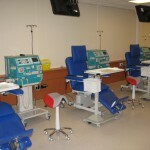 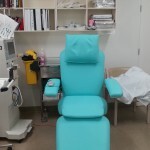 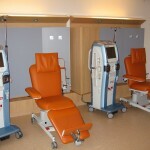 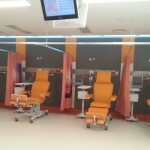 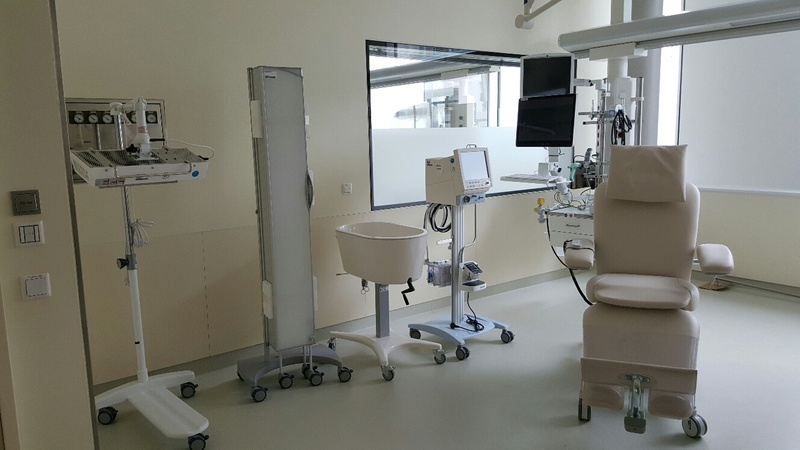 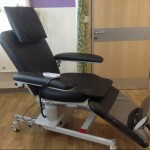 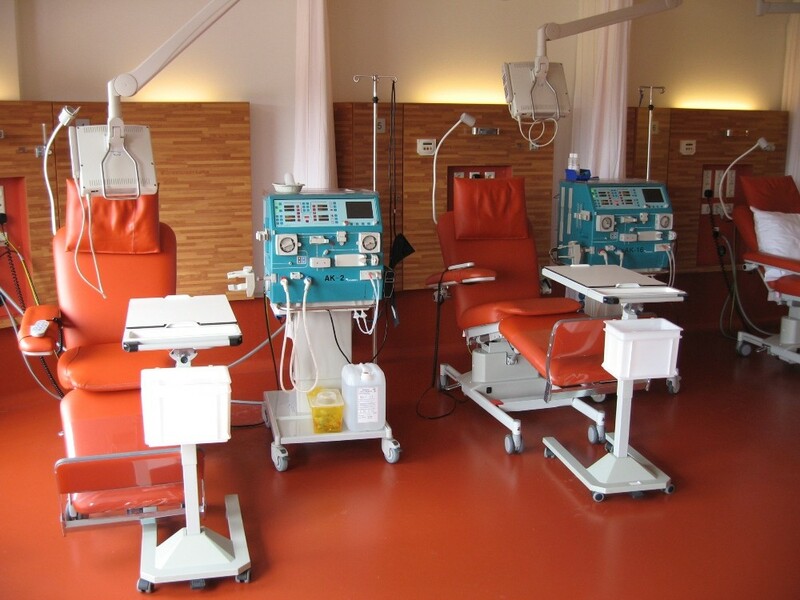 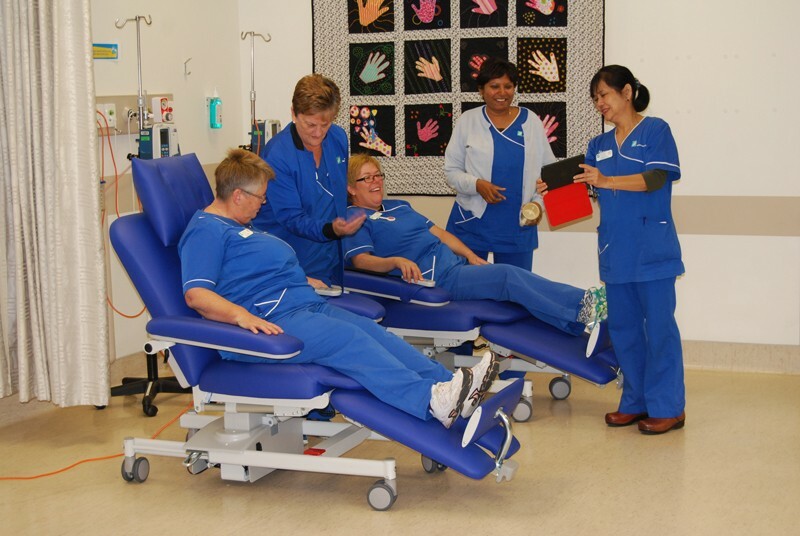 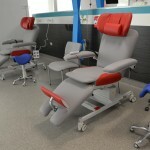 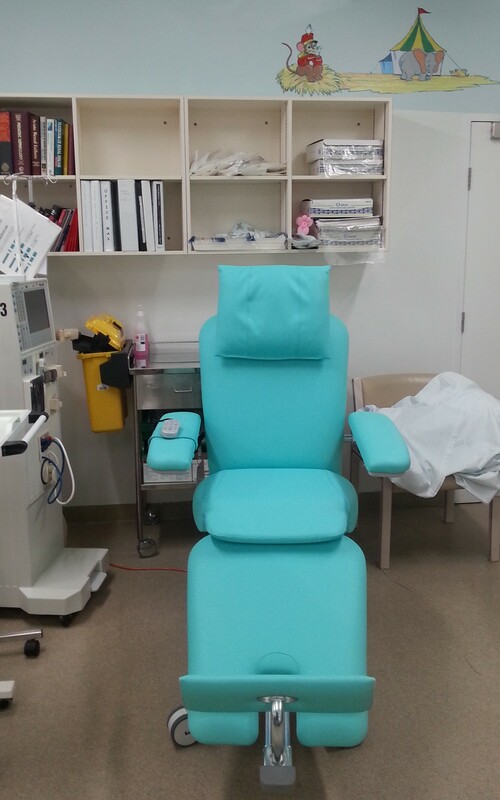 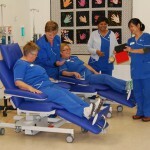 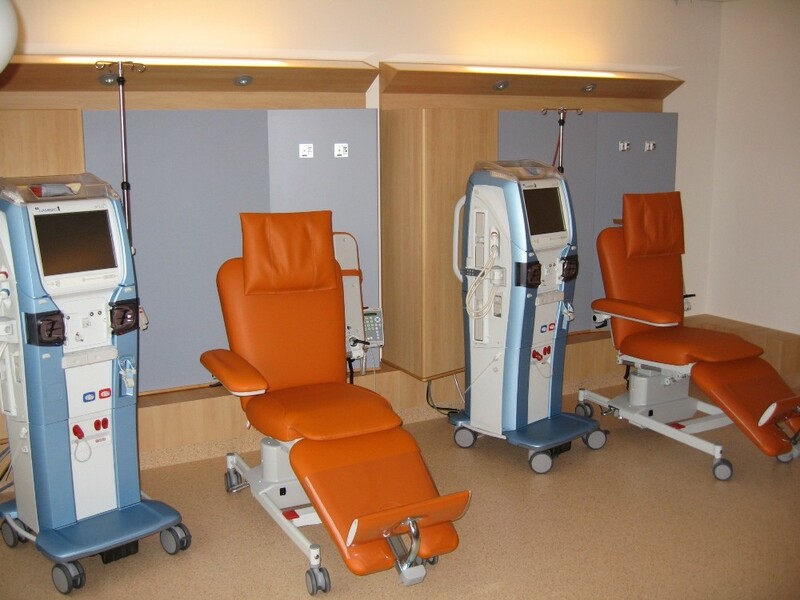 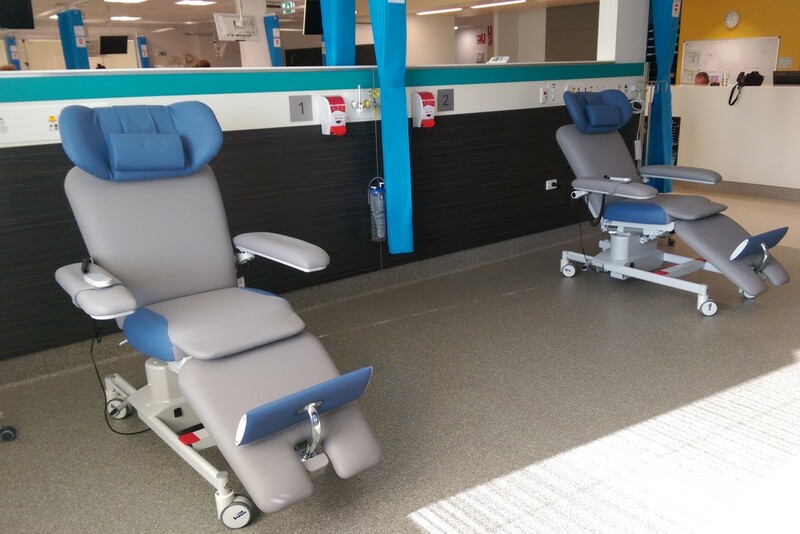 Besides the field of dialysis nowadays Bionic therapy chairs are established as transfusion chairs, blood donation chairs, infusion chairs and oncology chairs.